The event in Hyde Park - the annual Last Night of the Proms spectacular, broadcast live on BBC Radio 2. Britain’s largest outdoor classical music event, Proms in the Park, celebrates the finale to two months of world-class music-making at the BBC Proms festival in London. Inducted into both the Rock and Roll Hall of Fame and the Vocal Group Hall of Fame, Frankie Valli & The Four Seasons’ musical legacy has spanned over five decades and produced huge hits including Big Girls Don’t Cry, Can’t Take My Eyes Off You and December, 1963 (Oh, What a Night). One of the best-selling musical groups of all time, they have sold over 100 million records worldwide and also inspired a hit Tony Award-winning musical, Jersey Boys. Known for his trademark high falsetto vocals, Frankie Valli will take to the Hyde Park stage in a live set with his band that promises to get everyone dancing and into the Last Night of the Proms party spirit. 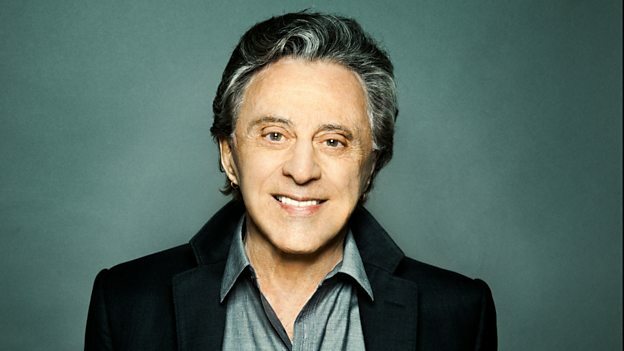 Frankie Valli says: "We are so honoured and excited to be playing the closing night at the Proms. We love playing in London and can't wait to perform at Hyde Park." Twenty years since the first BBC Proms in the Park in 1996, Frankie Valli & The Four Seasons join the BBC Concert Orchestra and conductor Richard Balcombe and a stellar line-up of stars from across the pop and classical worlds including new wave group ABC, girl band All Saints, 1980s pop icon Rick Astley, rock band The Feeling, tenor Juan Diego Florez, flautist Sir James Galway, Australian actor and comedian Tim Minchin with cast members from his West End hit Matilda: The Musical, and the Royal Choral Society. Presented for the first time by BBC Radio 2 presenters Michael Ball in the evening and Anneka Rice in the afternoon, Proms in the Park will be broadcast live on Radio 2 throughout the day culminating in a live big-screen link-up to the Royal Albert Hall for the traditional Last Night sing-along. Beyond London there will be Last Night celebrations across the UK, at Titanic Slipways (Belfast), Glasgow Green (Glasgow) and for the first time the event goes to north Wales at Parc Eirias (Colwyn Bay), inviting music-lovers from across the nations to enjoy the magic of the Last Night of the Proms. Proms in the Park fans across the UK are able to tune in to the concert live on BBC Radio 2 and highlights of the Proms in the Park celebrations around the UK will be included as part of the coverage on BBC One, BBC Two and BBC Radio 3. Highlights from all four Proms in the Park events will be available to watch on the evening of 10 September via the Red Button for BBC viewers and online and there will be a special Proms in the Park highlights programme broadcast at a later date on BBC Four.